Christmas isn’t really my thing but books and writing are, so over the next couple of weeks I’m dedicating three blog posts to book gifts which are in some way out of the ordinary* – please do support your local independent bookshop, or mine, the renowned Big Green Books who are really helpful even long distance. Starting with writing-related gift The Accidental Memoir by Eve Makis and Anthony Cropper, I’m delighted that Eve returns to the Literary Sofa today to talk about the book and some of the powerful responses it’s already produced. At the end of the post, I’ll say why I think it would make a brilliant gift for all kinds of people. The Accidental Memoir began as a Christmas gift for my eighty-year-old father, a way of gathering his stories, but the idea did not spring from the ether. I’ve been a novelist for twenty years and teach creative writing at Nottingham Trent University. My colleague and co-writer, Anthony Cropper, is a professional writer too and we’ve spent many hours exchanging ideas about ways to encourage people to write. We believe that everyone can and should write and The Accidental Memoir has allowed us to put this conviction to the test. We secured Arts Council funding to produce a prototype, trialed with a group of women on probation. They’d never tried creative writing before and were, naturally, skeptical. They’d all had very difficult lives, struggled with drink, ill-health and abuse. Five minutes into the workshop they began writing about their formative experiences, about the foods, music and films they loved, where they’d hidden as children. Within an hour the group had started to bond and the women began writing from a deeper place, revealing stories they had never told their probationers or each other. Suddenly, empathy bloomed. What would they change if they were in charge of the world, asked one of the questions in the book? They wouldn’t have drugs. They wouldn’t have poverty. They’d make trips to Spain free. I went to a home for the elderly. Took a different approach. Not everyone could hold a pen and some had problems remembering but all, without exception, had vivid memories of their youth. We sat in a circle and they narrated their stories, about love affairs with American GIs and living on rations and experiences with school bullies. One woman said the book would be her project for the coming winter months. She didn’t feel that her family had taken enough interest in her life and one day might have regrets. The book is suitable for all ages and all abilities. We’ve used prompts from the book in schools with children who underachieve in literacy. With the right encouragement we’ve seen people produce stunning, emotive sentences. I come from a house pink like salmon, I come from a bargain, only 99p. We’ve worked with young people at a formative time in their lives, when a healthy means of self-expression is vital. My family name is a mesh of two others, a perfect metaphor for my life, living between two families. Life writing can be painful, but it can also help us untangle the past. 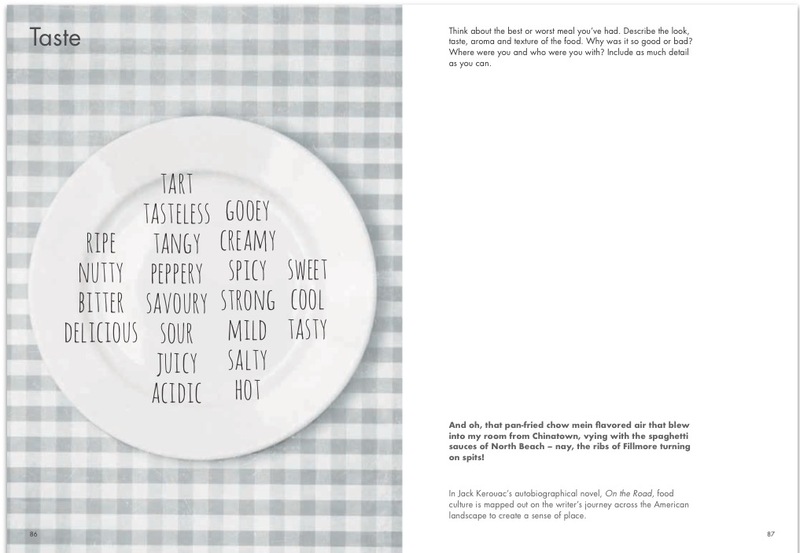 It’s not just a diary-type book but a tool for getting people writing, learning technique and widening their reading, with the inclusion of literary extracts and references. Resources tried and tested in our classes. One person described The Accidental Memoir as a writing class you carry in your pocket, another found inspiration to start a novel. I’d encourage everyone to have a go at life writing and see where it leads. Writing is yoga and spin class for the mind. A positive, life-affirming experience. Quotes by Sara, Liz, George, Pam, Emily and @absthebookworm. 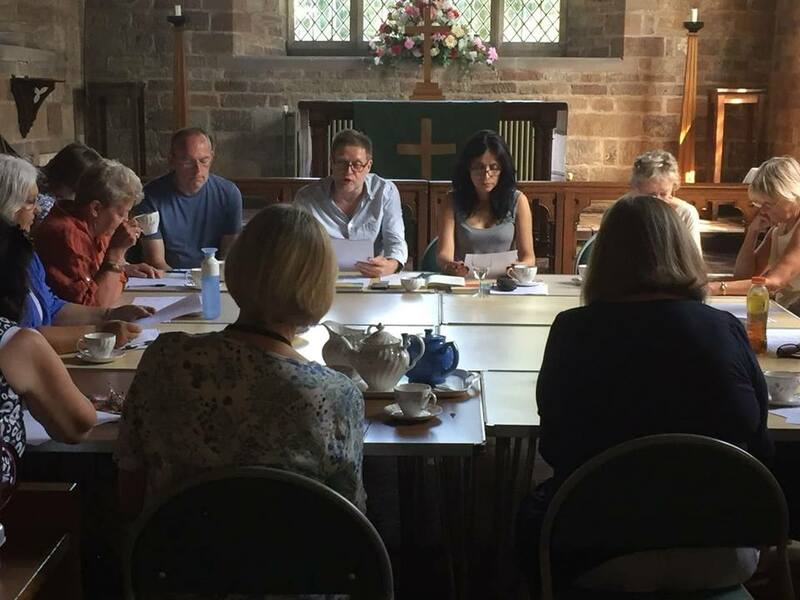 Picture shows Eve and Anthony with participants at a workshop at Lowdham Literary Festival. Congratulations to Eve and Anthony on a project to be proud of, and thanks to Eve for her wonderful poignant piece too. The spirit of this book appealed to me before I’d even seen it. As someone who grew up in a family where not everyone liked or was confident at reading and writing, I’m keen on anything which brings these pleasures to more people, however they choose to go about it. Writing doesn’t have to be about ‘being a writer’ or getting published; you don’t need qualifications or to be from a particular background – it’s about having something to say and we all have at least one story – our own. 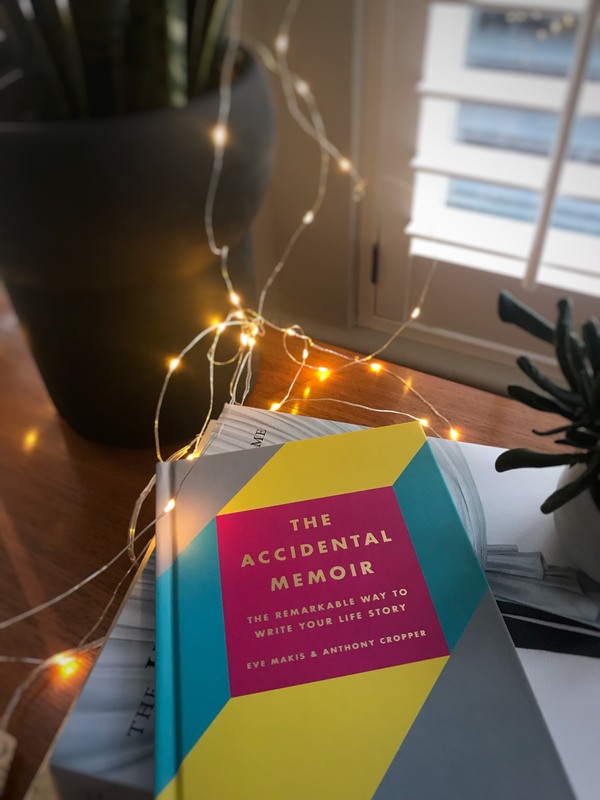 The Accidental Memoir is a beautifully presented small hardback with lots of blank space to write in, structured around writing exercises aimed at stimulating and capturing memories and details which are so easily lost or forgotten (I completed an I remember exercise here five years ago and was surprised by the results). The tone is friendly and encouraging and it’s brought to life with visuals and thumbnail examples – see below. This is a book which prompts reflection, reminiscence and emotional connections – sadly I can only speculate about what my mother might have revealed, based on a few surprising things she did come out with, but I know it would have been fascinating. The last few years have made me realise how important it is to hold on to the stories and pictures of our lives, and that even revisiting the tough bits can be worth it. Everyone’s ‘accidental memoir’ will be unique, potentially a lot of fun, a meaningful keepsake and a piece of living history. * Selection of these products is entirely based on my personal appraisal and enthusiasm – no incentives have been offered or accepted. Seems like a great way to practice your craft and find inspiration from your life. I’ll have to check that one out!